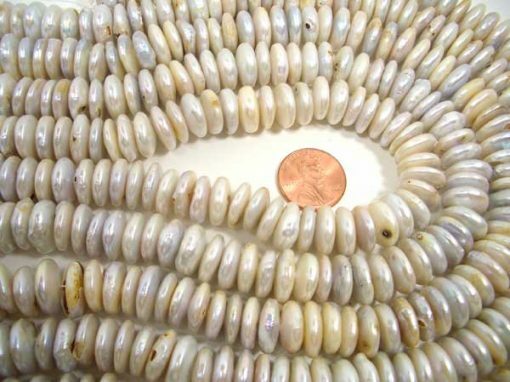 There are approximately 74 pearls on one strand of these center drilled coin pearls, almost 15.5in long. Each strand has an approximate weight of 75gram. These pearls are 12-12.5mm in sizes. 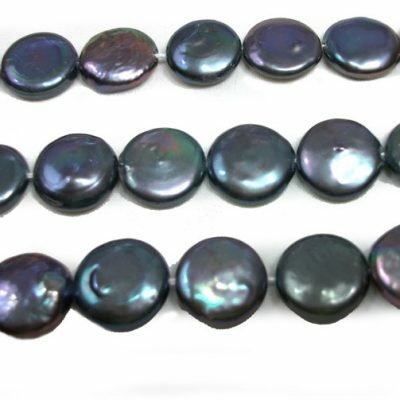 The black colored pearls with bluish overtones. And the white colored pearls with pinkish and other natural colored overtones. 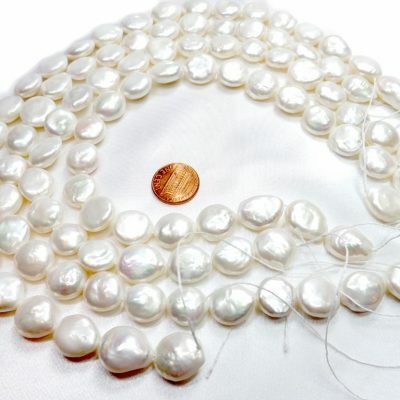 These pearls are not only unique but also they represent excellent value for your money. 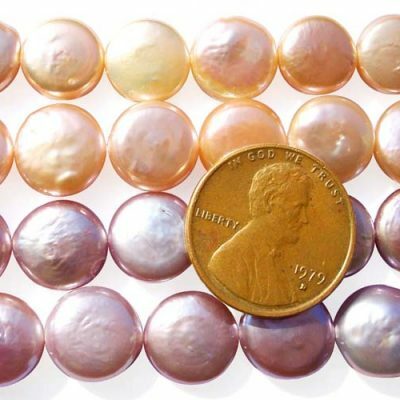 Because you will be getting more than twice of the pearls than you would have got from side drilled coin pearl strands, especially if you have been looking for center drilled coin pearls for a while as they are not always available. 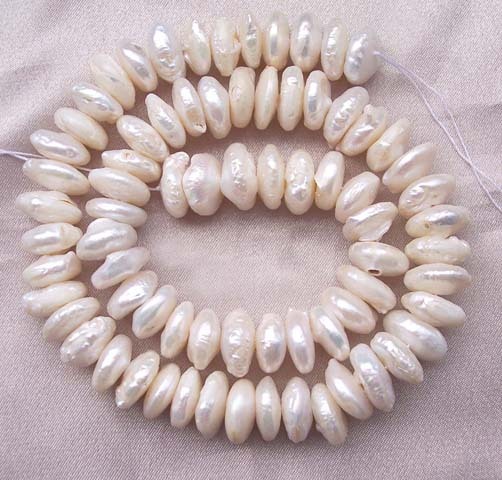 If you are looking for very smooth or regular shaped pearls, please do not buy them, as it will only waste time for both of us for returning or exchanging, although you might find quite a few of them are very nice on a strand. They are suitable for exotic or unique type of jewelry-making activities. These are the treasure for people who are looking for rough surface and natural looking of coin pearls.